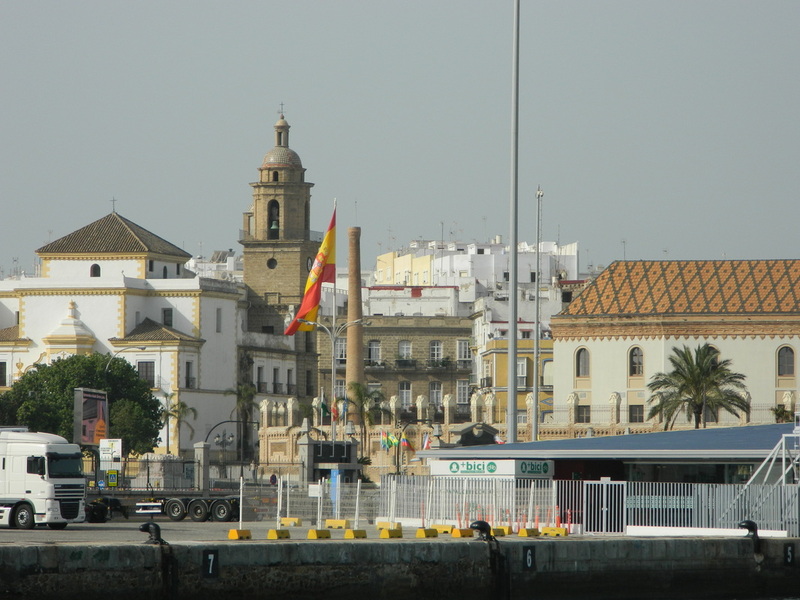 Cadiz is the Capital city of Andalucia, the province in which we live. Cadiz is the oldest civilization in Western Europe, and is a very walk-able and beautiful city. A day trip to Cadiz is a good way to get the lay of the land and get a feel for what's there for when you go back to visit again! Cadiz is just a 35 minute ferry ride from Rota, and from the harbor, essentially all of "old Cadiz" is in easy walking distance. 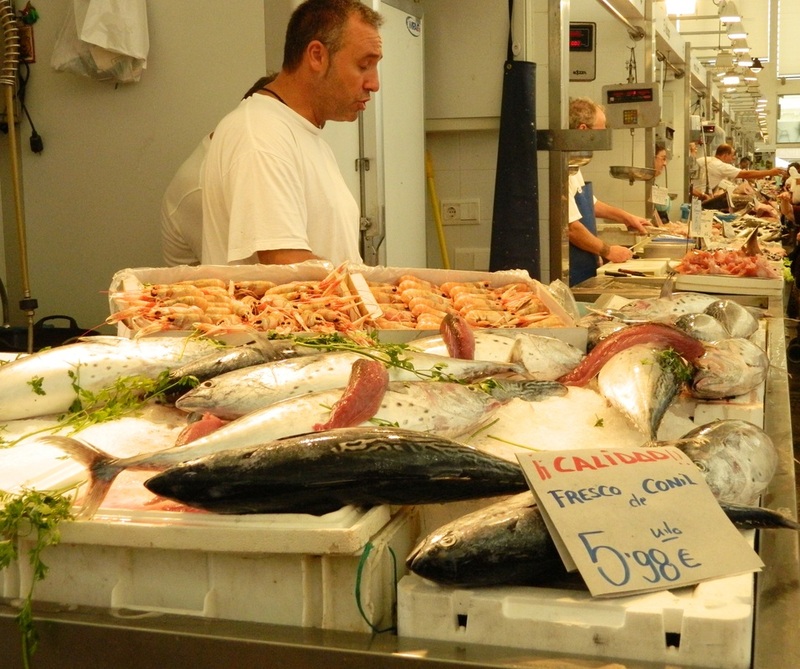 There is a fantastic market in the center of the old town, loaded with fresh produce, flowers, meats of every variety, and more fresh seafood than I could ever imagine. There are too many beautiful buildings, cathedrals, and historical sights to take in all at once, but here is a smattering of what we saw. One of the things that makes Cadiz so walk-able for tourists is the fact that they have painted different colored lines on the streets throughout the city (see the purple line in this picture? ), so people can literally follow these lines and see all of the things along the "route." At the tourist center near the ferry you can pick up a map which shows several color-coded routes throughout town, so you can choose the route that has the items that are of most interest to you and simply follow that color.